seminar: "Technological Solutions from Company ENERPAC, USA"
"The challenge to lift heavy loads: How to reduce the time and the cost using alternative lifting solutions? 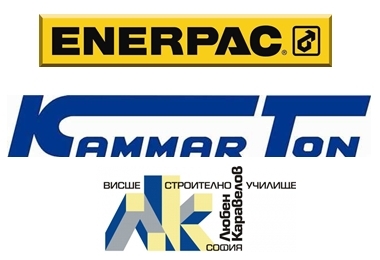 Technological Solutions from Company ENERPAC, USA "
in hall "Maritsa" - Hotel Rodina, bul. "Gen.Totleben" 8. Thematic presentations are organized by leading speakers Henryk Zysko, ENERPAC and Richard Verhoeff, ENERPAC, and a demonstration of the multi-functional synchronous lifting system - the EVO-System.